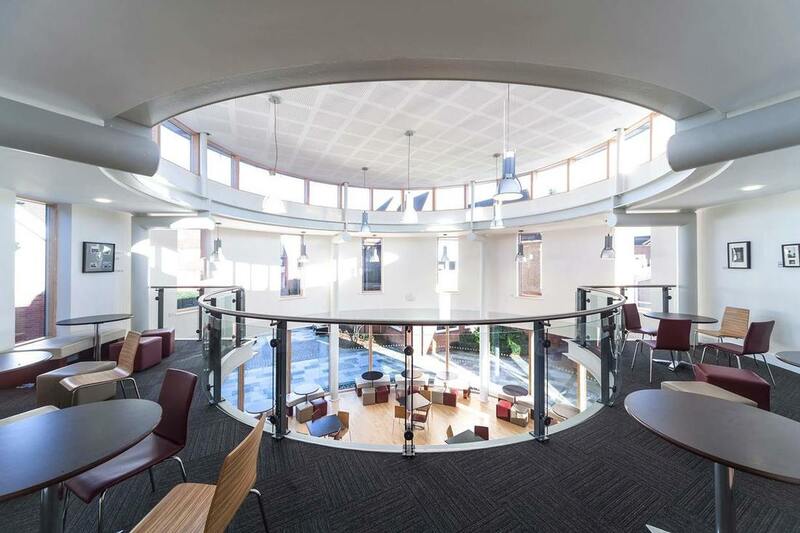 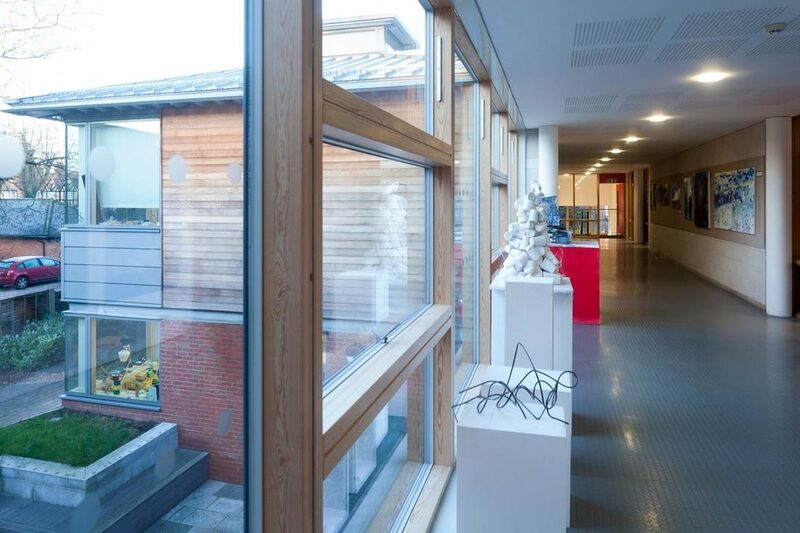 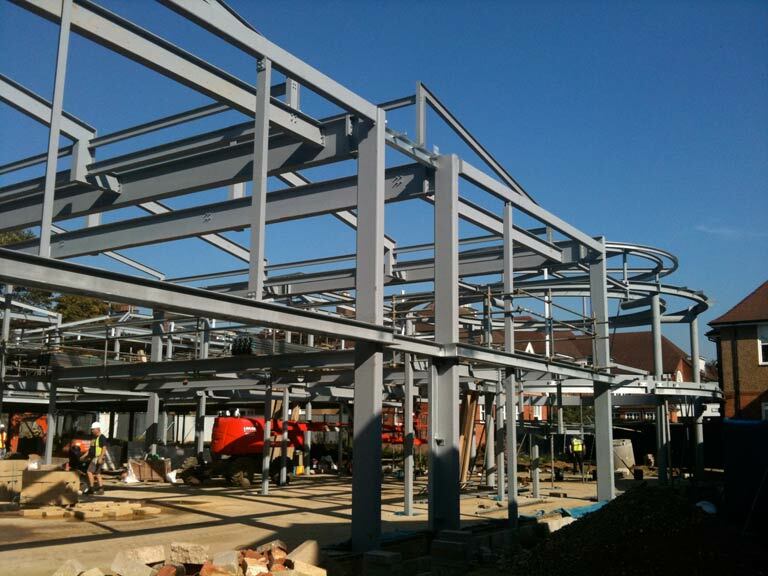 School architects Acanthus Clews – this project started life as a strategic development plan, identifying possible new sites for development and highlighting those existing buildings that required maintenance / re-use. 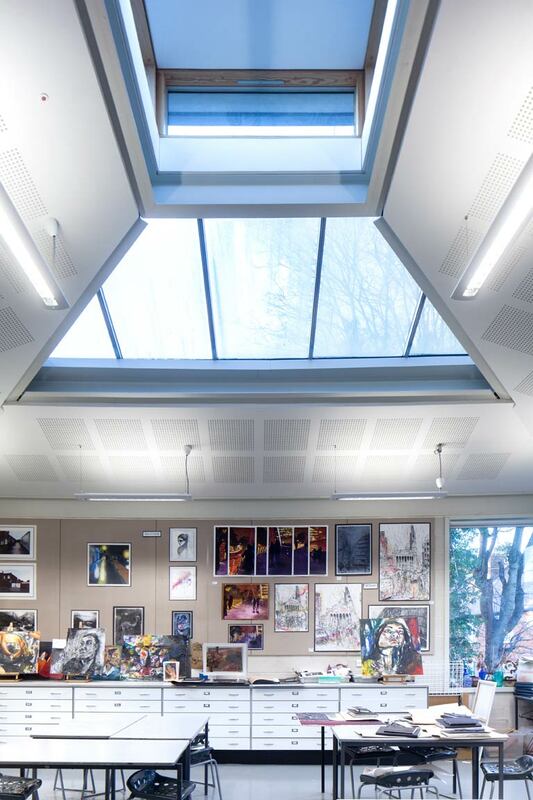 From the conclusions drawn from this report, we were appointed to develop a scheme for a new Art and Technology block, Recital Hall and a series of Music and Drama spaces. 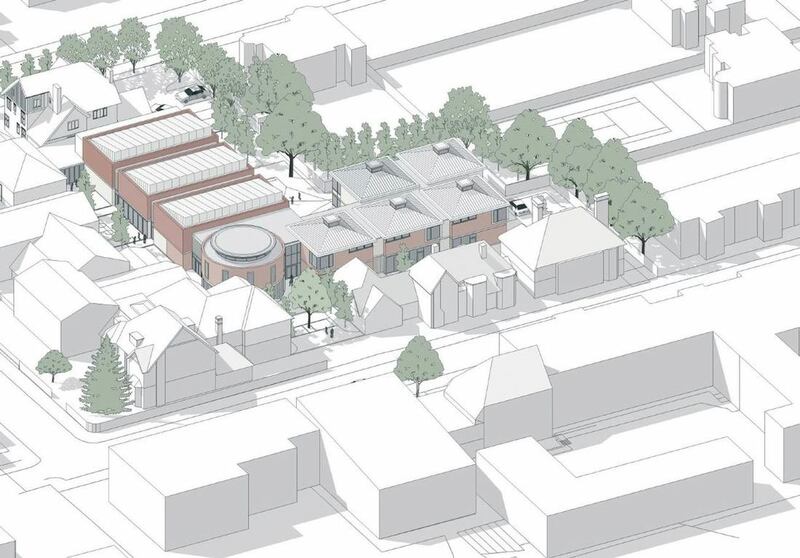 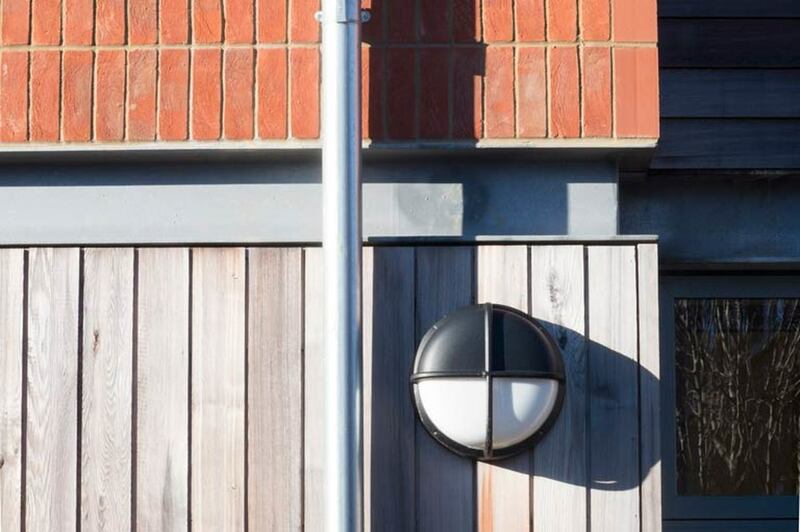 The design constitutes a large development on a restricted site within the heart of St Albans conservation area and as such was developed in close association with the local authority. 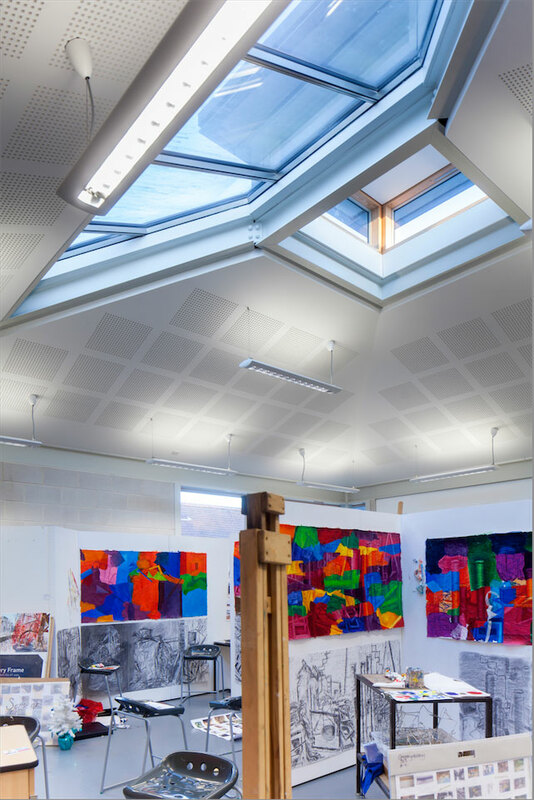 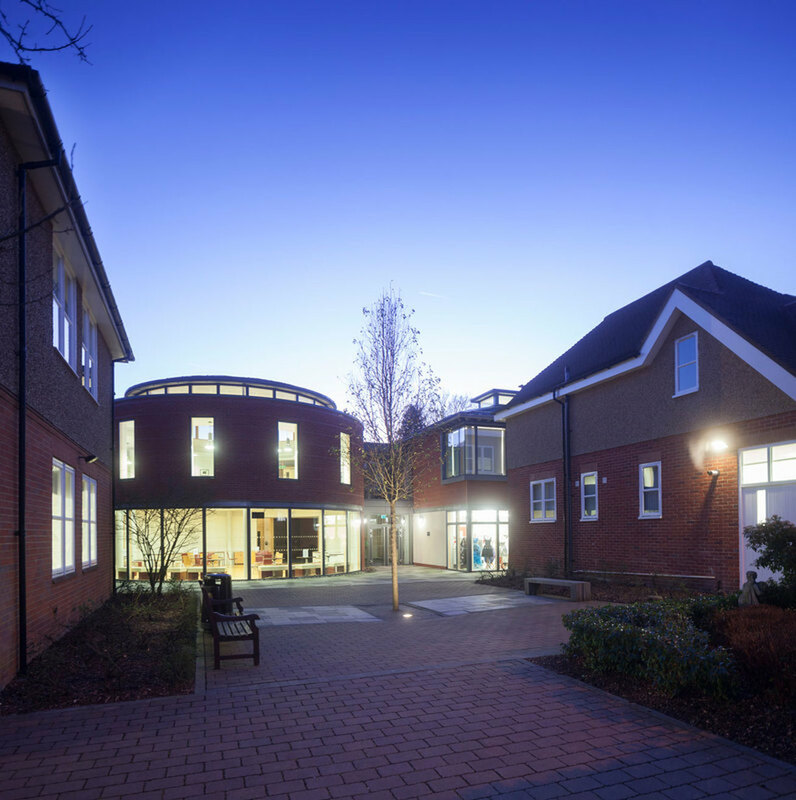 Our challenge was to create a building of an appropriate scale and appearance to respect the historic context surrounding the site, but also one that expressed the commitment the school were making in providing modern teaching facilities to the Arts. 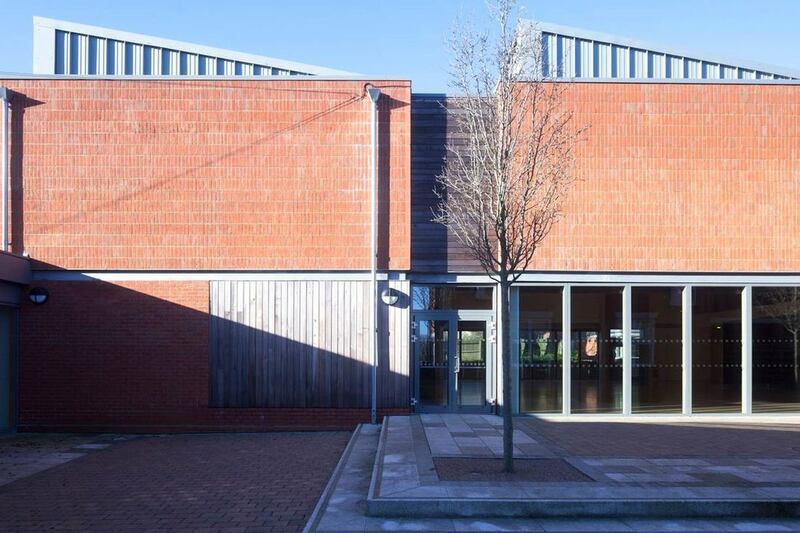 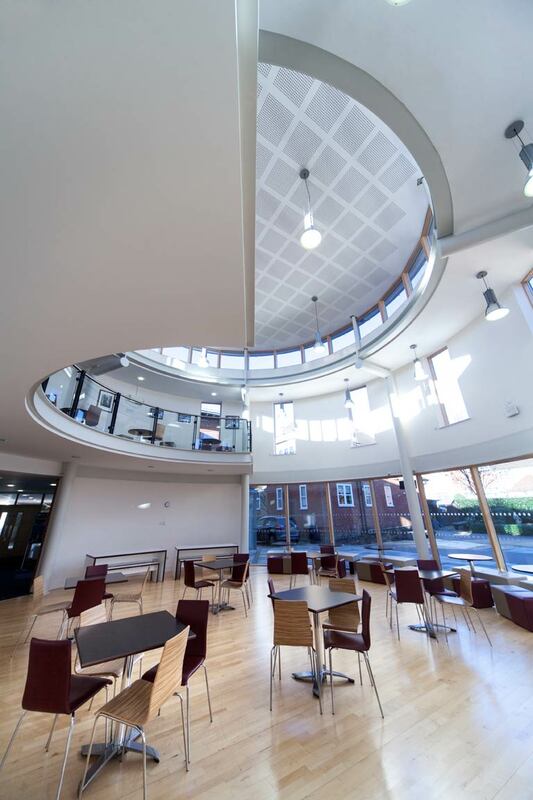 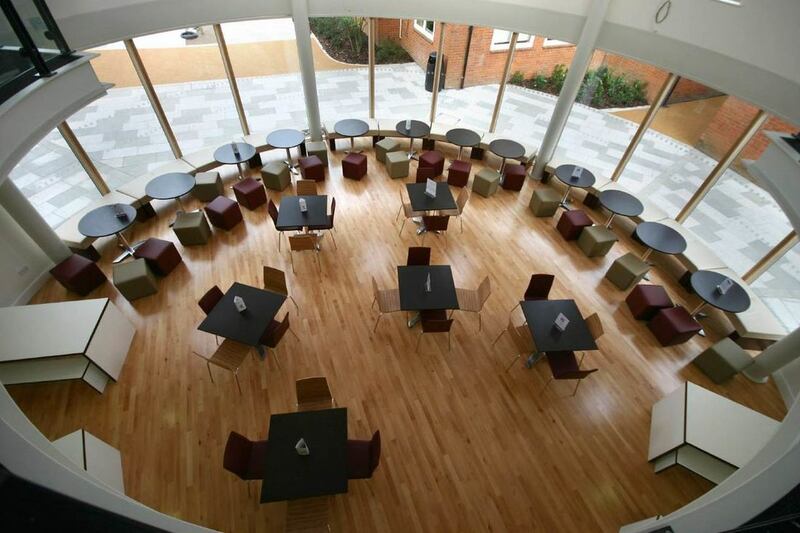 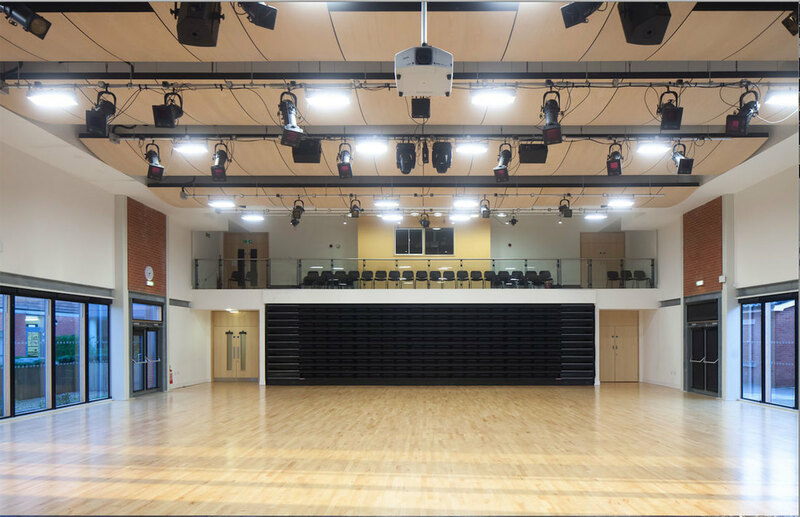 Technically our aim was to provide naturally lit, well ventilated spaces (including the 300 seat performance area) and spaces that were acoustically robust for both music and drama performances. 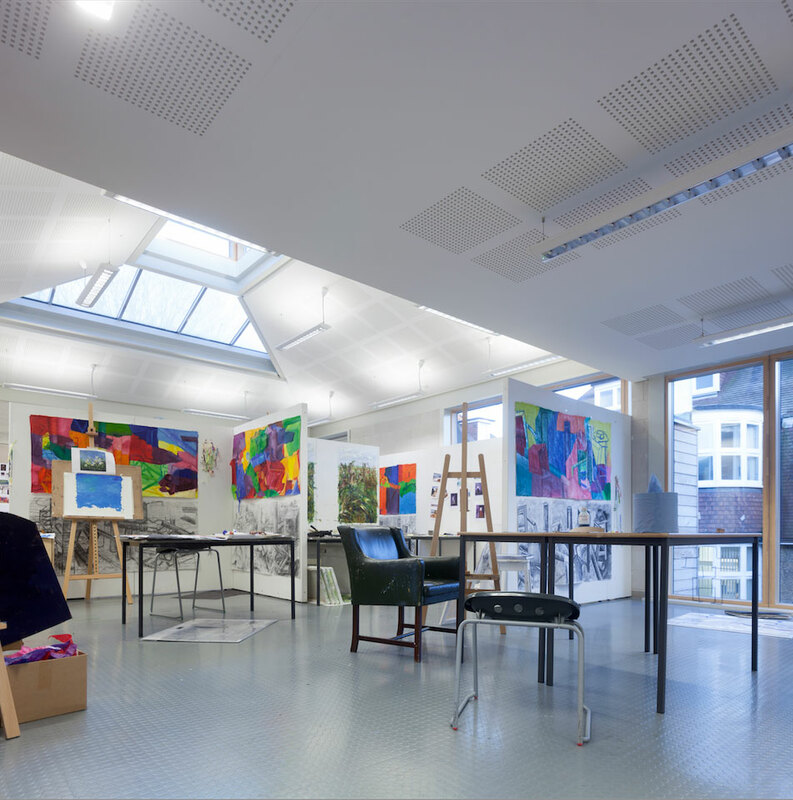 As well as creating new teaching spaces, our brief included extensive refurbishment of the existing Drama and Music Classrooms, including a 3 storey suite of Practice Rooms .